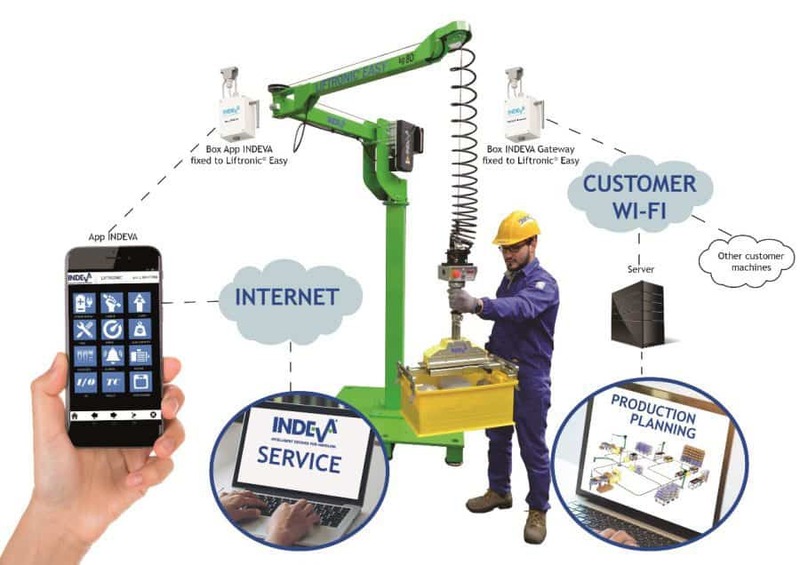 An INDEVA® (Intelligent Device for Handling of the Liftronic® Series) can exchange data with the customer IT system through the company wi-fi network and allows visualization of the manipulator activity by means of interface software. Read more on all possible applications and uses. The Industrial Internet of Things can be defined as “machines, computers and people enabling intelligent industrial operations using advanced data analytics for transformational business outcomes”. There are several IoT use cases of which some are specific to an industry and some are cross-industry. From the optimization of manufacturing operations to predictive and remote maintenance: there are also ample existing Internet of Things deployment examples that show the real-life benefits. Cases are great to help you see the benefits without too much theory. The Industrial Internet of Things enabled ABB Robotics to achieve higher efficiency, enhance customer support and introduce a new connected services approach. The Tesla automobile is a big example of the Internet of Things and potential problems and benefits of this idea. More case studies of Internet of Things. Read and download the “IoT Case Studies: Companies Leading the Connected Economy“ by AIG, American International Group, Inc..
Robert S Schimek, Executive Vice President and CEO, AIG Commercial wrote: “The Internet of Things – IOT- is breaking down the barriers that once stood within and between industries“.